Why kill Bill when you can KillBar? But what is KillBar, you ask? It's a cocktail bar dedicated to all things Quentin Tarantino that's opening in Brooklyn this weekend. The themed bar will be outfitted with several movie-inspired Easter eggs and artwork, including a bar top reminiscent of Inglorious Bastards, a six-foot-tall painting of Uma Thurman in her yellow Kill Bill suit and wall projectors showcasing scenes from his most famous flicks. There will also be movies playing on Mondays and trivia on Tuesdays. Of course, the drinks and food will be in-theme with the director: There will be a Mr. Pink Martini and mescal shots inspired by From Dusk Till Dawn, in addition to a Kill Bill Burger, Hateful Eight wings, a Texas Funeral Grilled Cheese. 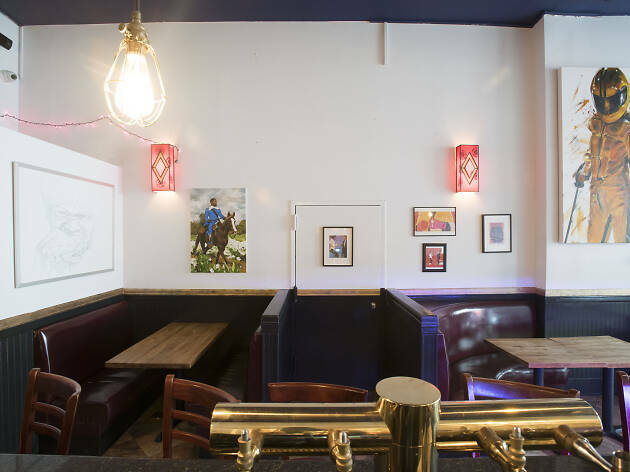 The bar is from Michael Galkovich, who's owned the now-shuttered, '80-themed GB85 on the Lower East Side. 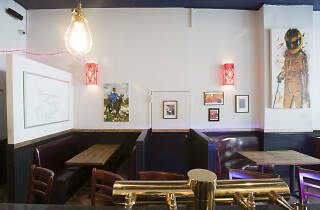 KillBar officially opens to the public tomorrow, February 1st at 82 South 4th Street in Williamsburg.